Protect your boat's engine against contamination & corrosion, save fuel and protect nature from unnecessary exhaust emissions. Using motor oil is pertinent to your warranty! A test kit to check your fuel for bacteria and prevent contamination from occurring by using diesel additives, diesel filters, and oil suction pumps. These can be found in our Motor, Technology category. 10 years ago, in order to noticeably reduce the emissions of diesel engines, the law stipulated that the sulphur content in diesel fuel should be only 10 mg per every 1 kg of diesel, instead of the previous ratio of 350 mg of sulphur to every 1 kg of diesel. In addition to the positive impact on our environment, this reduction in sulphur content also had an impact on the quality of diesel and its natural lubricity. In order to ensure that the injection pumps and injectors of diesel engines were still properly lubricated in cars, ships and industrial vehicles, and that the reduction of sulphur had no negative effects on engines, fuel refiners began mixing certain additives into their mineralized diesel. Furthermore, it was found that by adding a compound called: fatty acid methyl ester (FAME) into diesel, the optimal lubricity of the diesel could be restored. This new compound was fully approved in October 2009, along with the European-wide introduction of DIN EN 590. Today, the diesel fuel available at petrol stations consists of about 7% fatty acid methyl esters. FAME is now better known as "biodiesel" and is different from pure mineralized diesel, seeing as it is made up of hydrogen, oxygen and carbon, and is thus water-soluble. In spite of the restored lubricating power of diesel, our customers have been increasingly complaining that their diesel motors have been suddenly failing since the reduction of the sulphur content in commercial-grade diesel. Their most frequent question: Was my engine lubricated enough? Our SVB experts’ answer is quite commonly: YES, BUT:This problem most likely stems from fatty acid methyl ester/biodiesel itself. 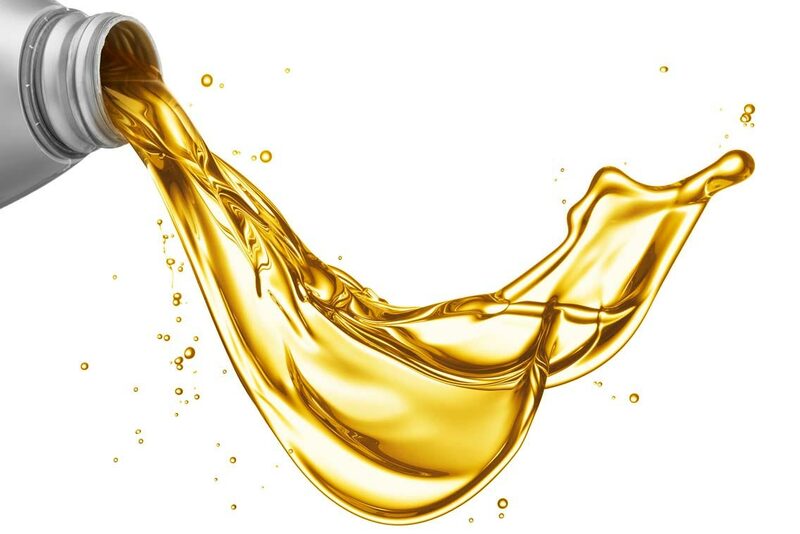 As described above, biodiesel has the characteristic of being water-soluble, which means that it can mix with water and bind to ambient moisture in the tank. Thus biodiesel, combined with water, provides the ideal surface for free fatty acids to form, which are responsible for corrosion and rust in engines, fuel tanks and fuel lines. Water in the tank, especially in the form of condensation on the tank walls is not a rarity and is rather difficult to avoid. Biodiesel that binds to water is also the perfect breeding ground for bacteria, mould and fungi. 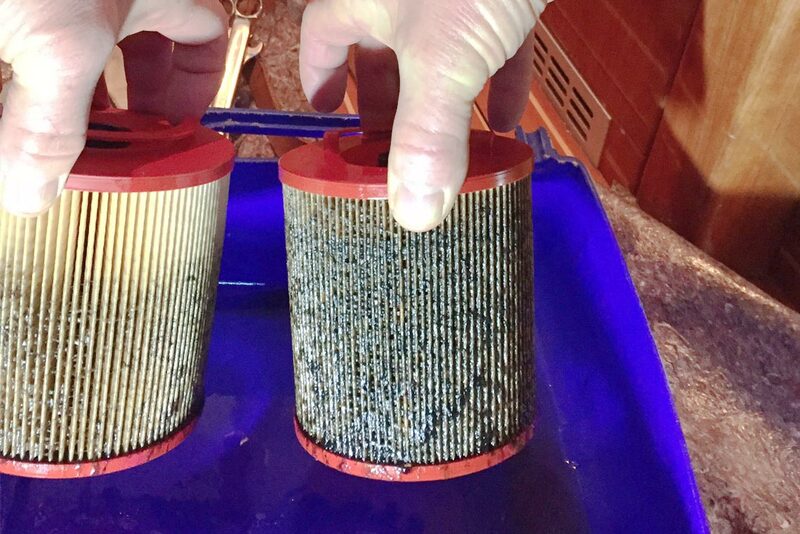 Once these microorganisms have settled, a thick mass of bacteria and bacterial debris builds up, which leads to the blockage of diesel filters and injectors. This is particularly common when diesel fuel has been sitting still in a tank for a long period of time, which happens quite commonly on board of sailboats. The diesel flow is hindered and the engine doesn’t receive enough fuel. Then, it begins to "stutter" and fails completely when it is totally clogged. How can I prevent my diesel for being contaminated by bacteria? In general, it is still almost impossible to completely prevent water from forming in the tank. Boat owners should therefore devote themselves to the prevention and control of bacteria. We offer a testing kit by Schülke (item 62303) to test your fuel for bacteria. Ideally, each tank should be completely emptied and physically cleaned by the time your vessel is to be placed into winter storage each year, preferably before any signs of a diesel contamination have come about. Biodiesel should also be consumed or replaced within 6 months at the latest, since still-standing diesel supports the multiplication of harmful micro-organisms. We also recommend the use of fuel additives. Fuel additives such as biocides, combat the formation of bacteria and fungi in the fuel and remove combustion residue in the engine. They ensure a smooth-running fuel supply, facilitate improved engine performance, and decrease emissions and diesel consumption. The manufacturer LIQUI MOLY has a range of particularly effective additives, which are used to prevent the formation of bacteria, extend the lifespan of diesel fuel and provide effective protection against corrosion. * The cetane number describes the ignitibility of diesel fuel.